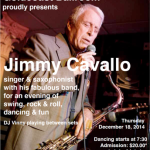 The Famous Jimmy Cavallo, singer and saxaphonist – “The Original House Rocker!” – and his Fabulous Band will appear LIVE at Goldcoast Ballroom on Thursday Evening, December 18!! 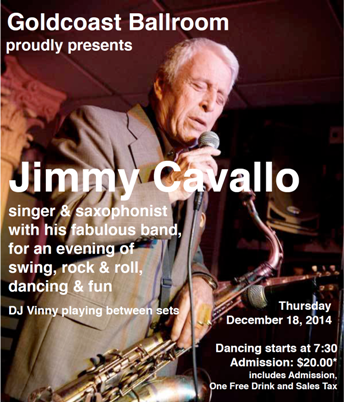 Don’t miss this Special Evening of Swing, Rock & Roll, Dancing and Fun!! DJ Vinny will play between Sets!! Now you can Reserve & Buy Tickets Here Online!! 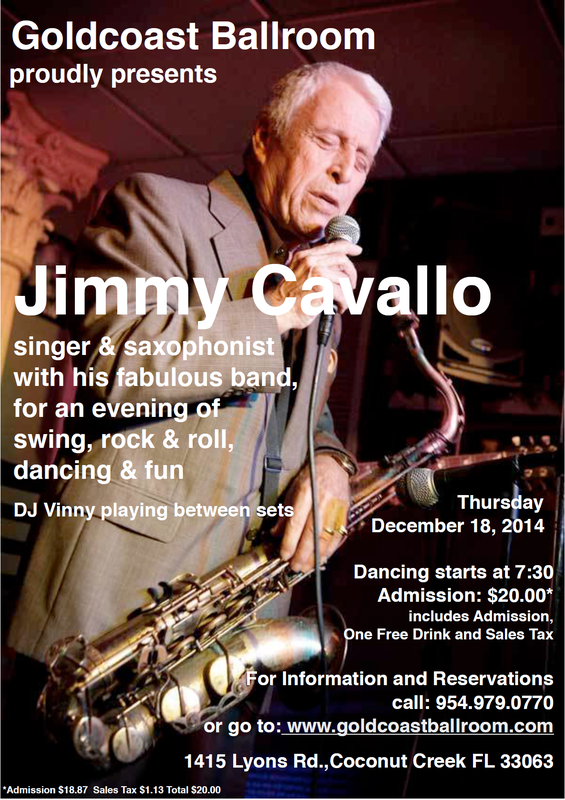 Jimmy Cavallo is a Famous International Recording Artist. He was the 1st ROCK & ROLL STAR! Now he and his House-rocking band perform to sold-out venues throughout South Florida and around the U.S.
Jimmy was a R&B (Rhythm & Blues) pioneer and has been on the music scene for over 60 years….since 1952. “He recorded the 1st Rock & Roll record, “Rock the Joint”, in 1951… one year BEFORE Bill Haley. He was the 1st white rocker to play the Apollo Theater, in 1956…. 6 months before Buddy Holly. Make Your Reservations & Buy Your Tickets NOW Here Online! !